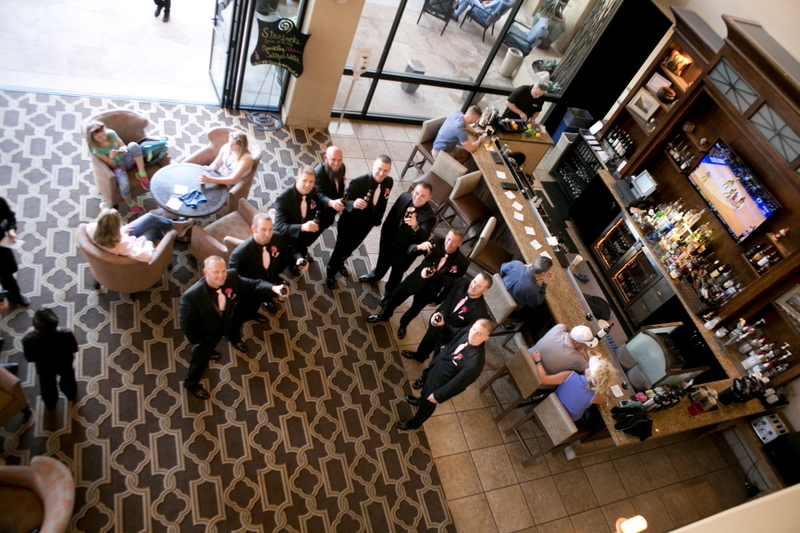 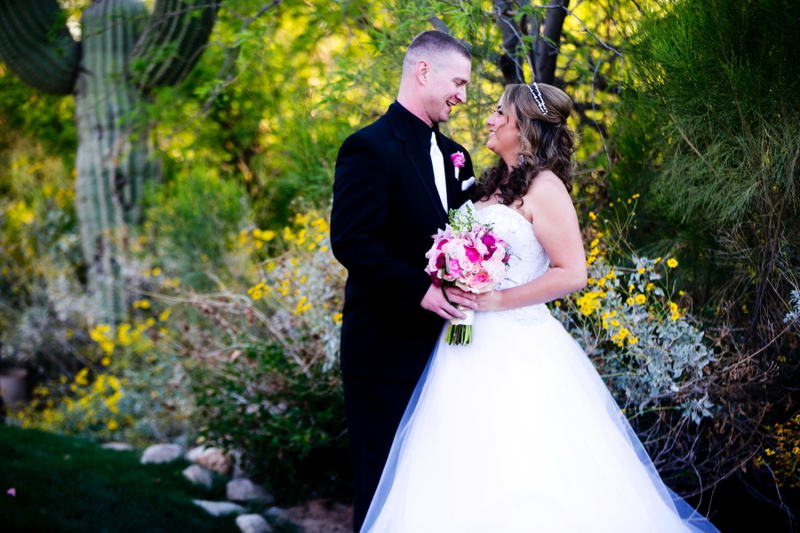 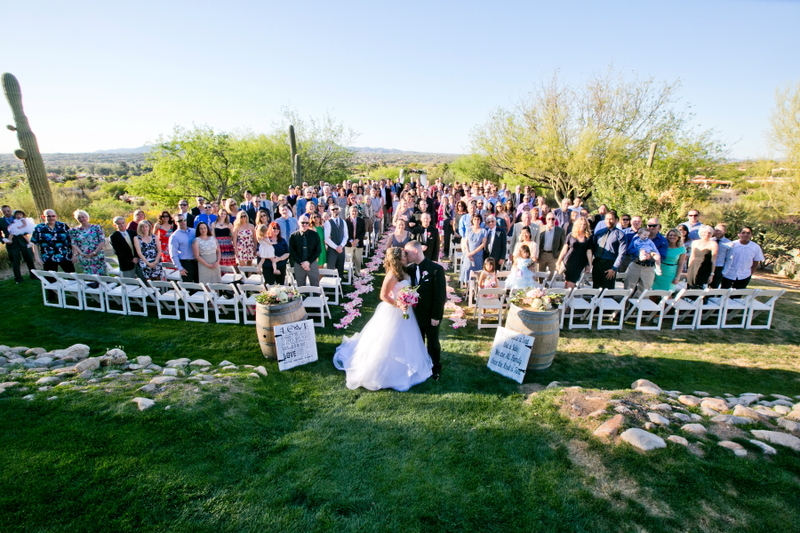 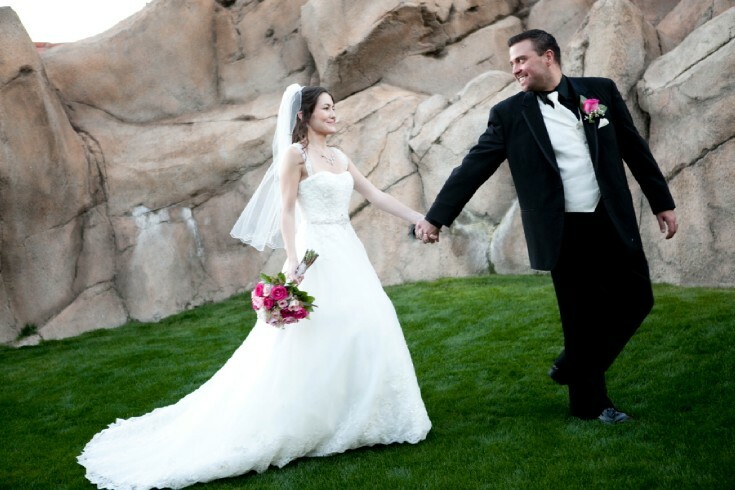 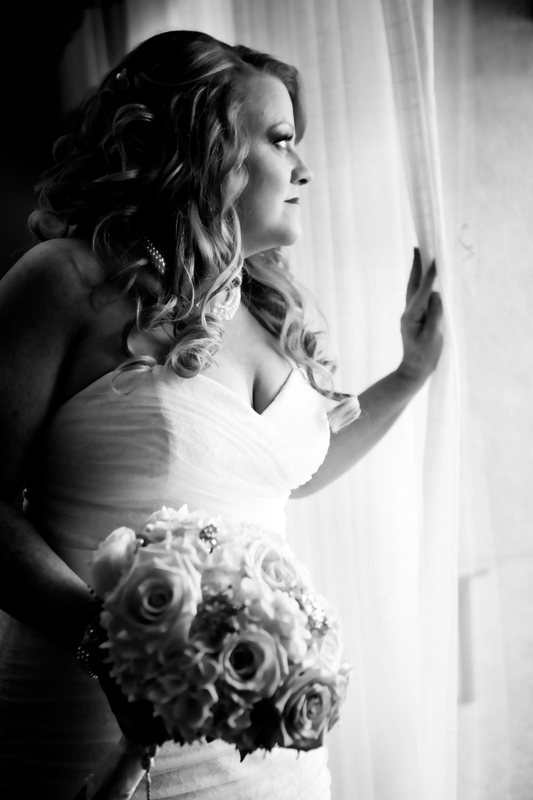 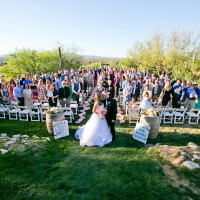 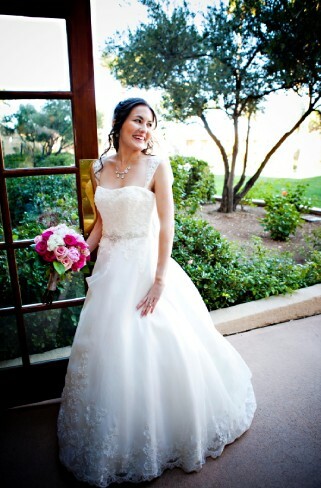 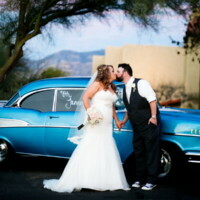 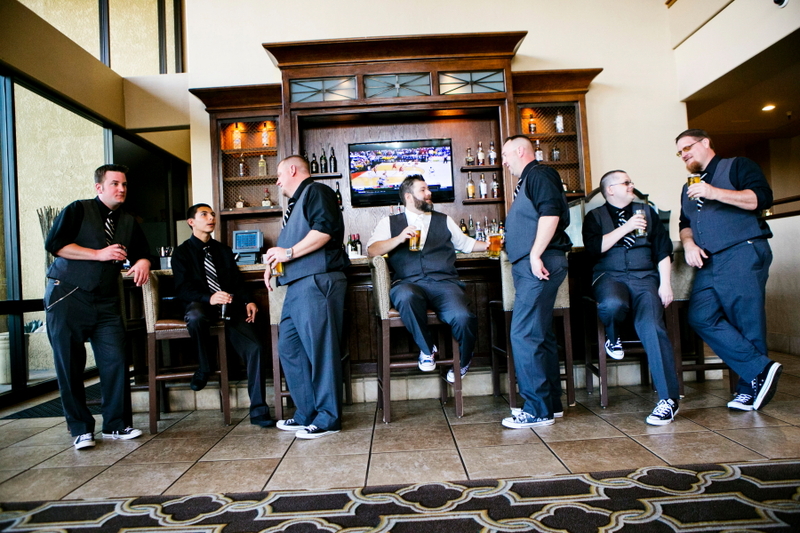 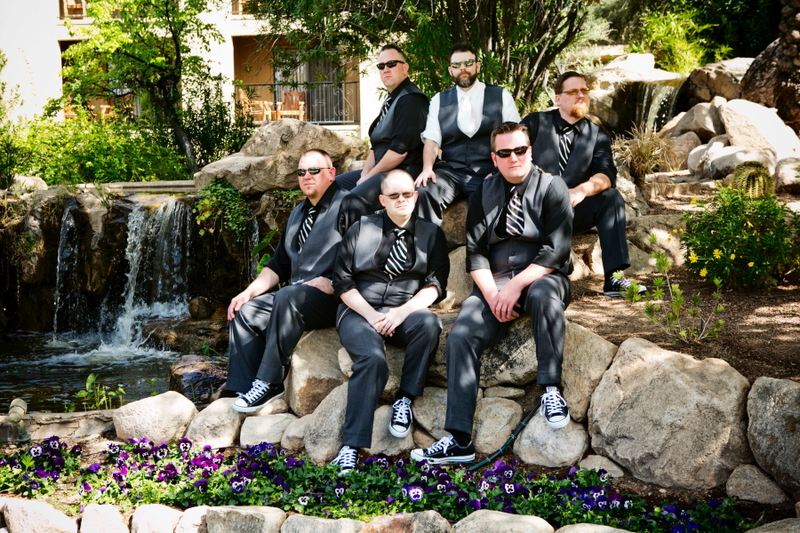 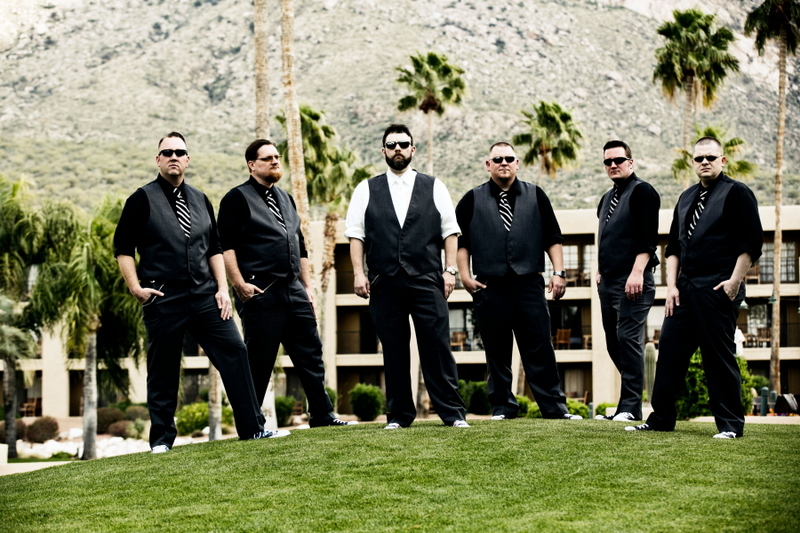 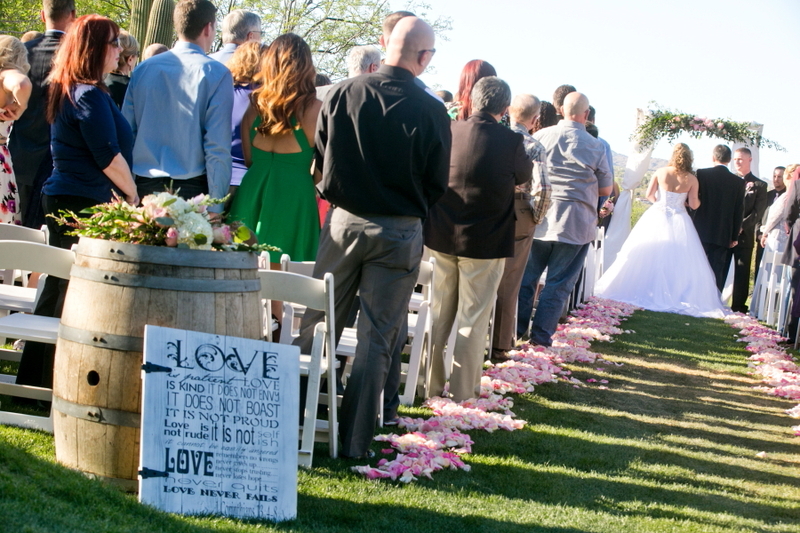 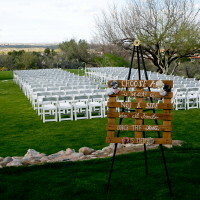 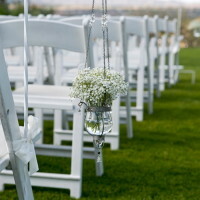 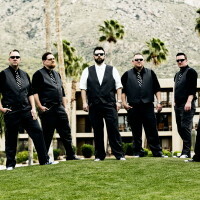 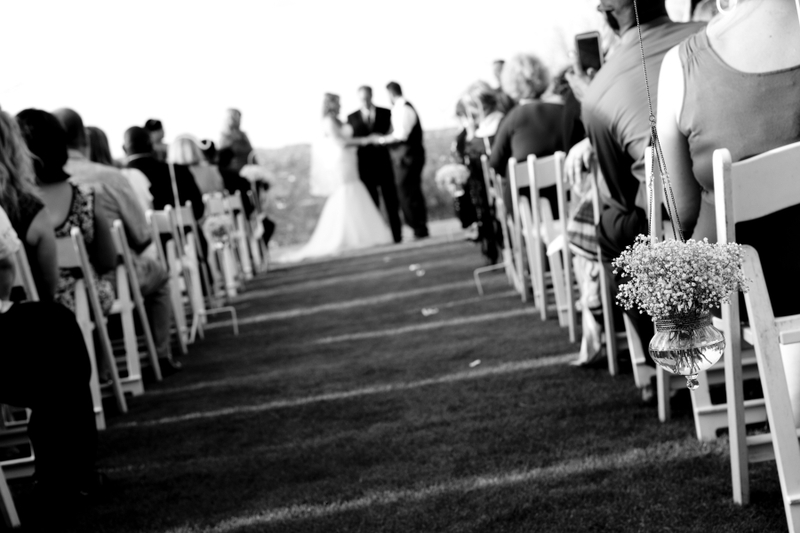 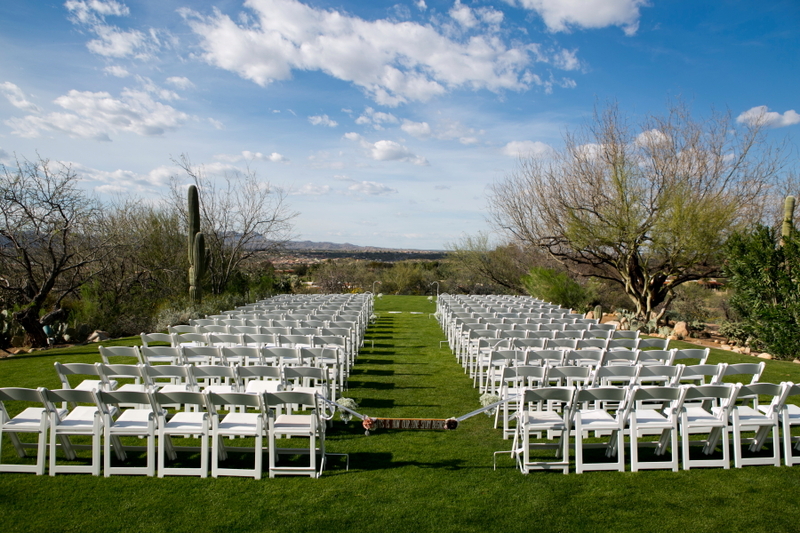 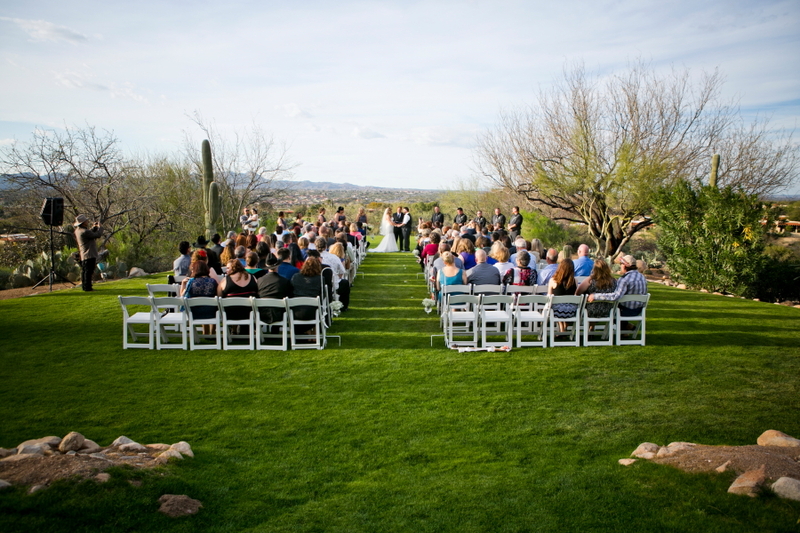 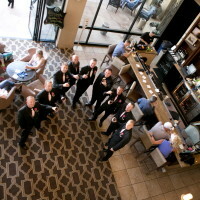 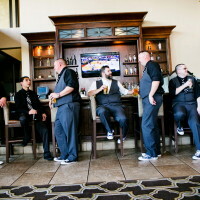 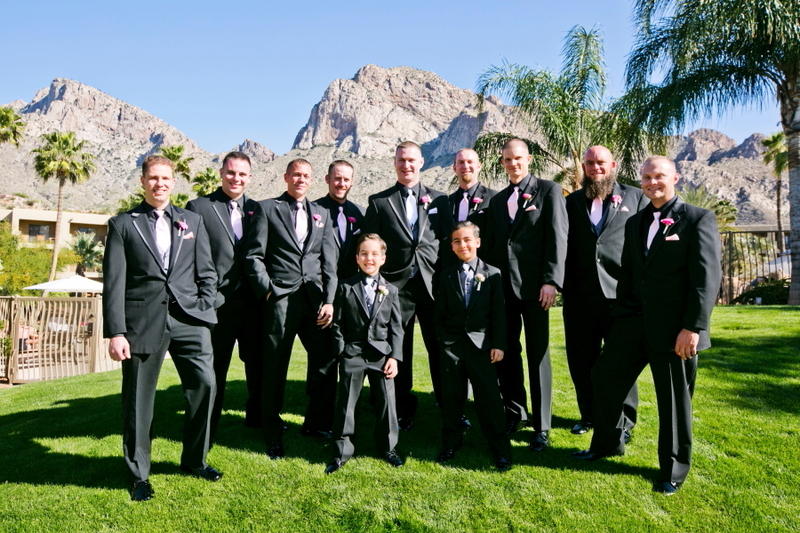 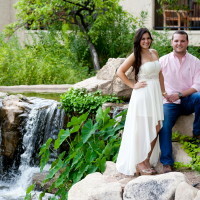 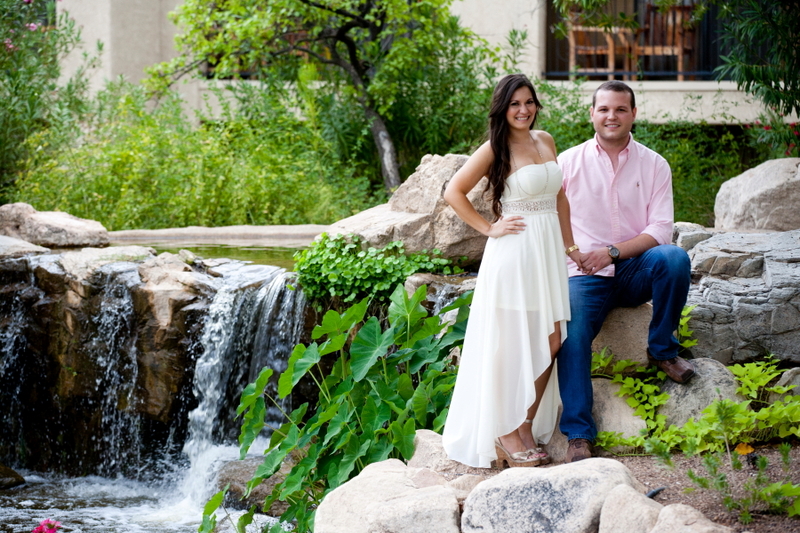 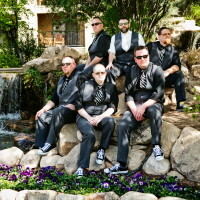 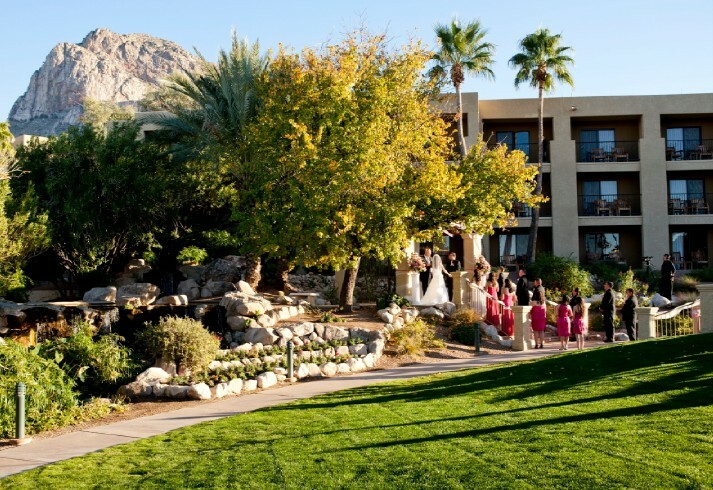 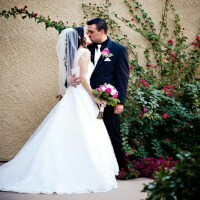 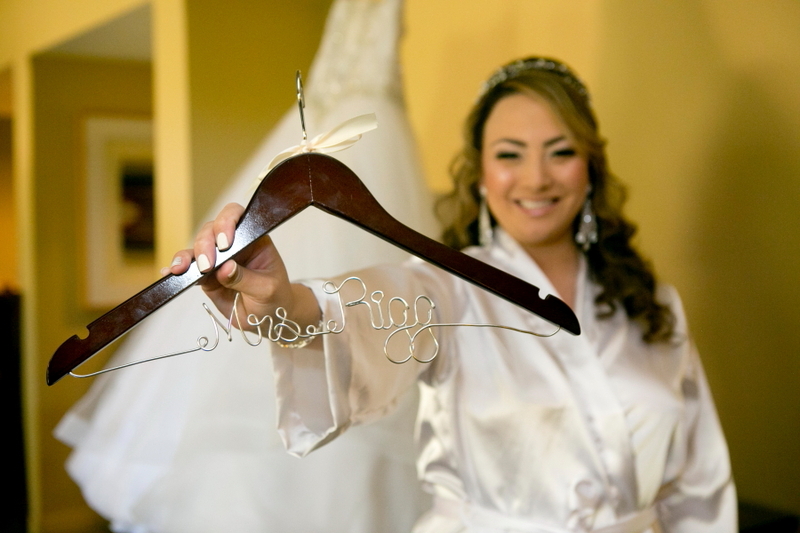 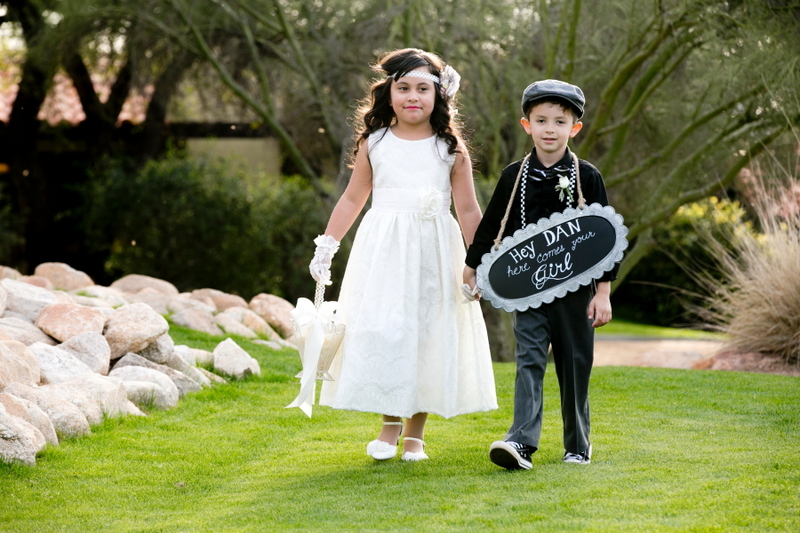 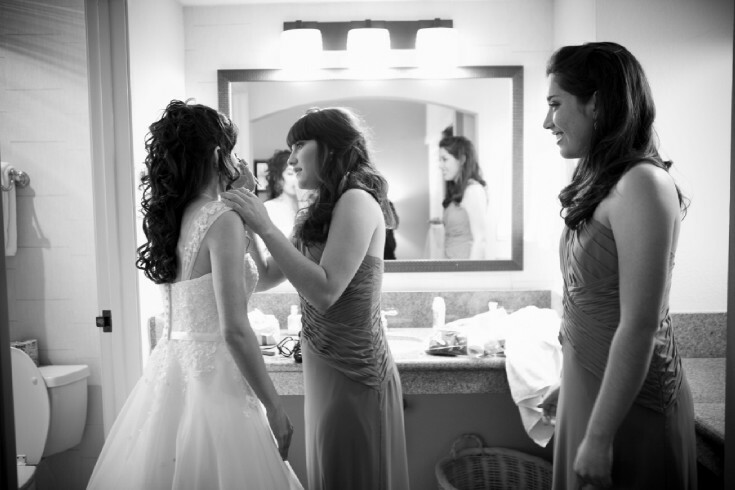 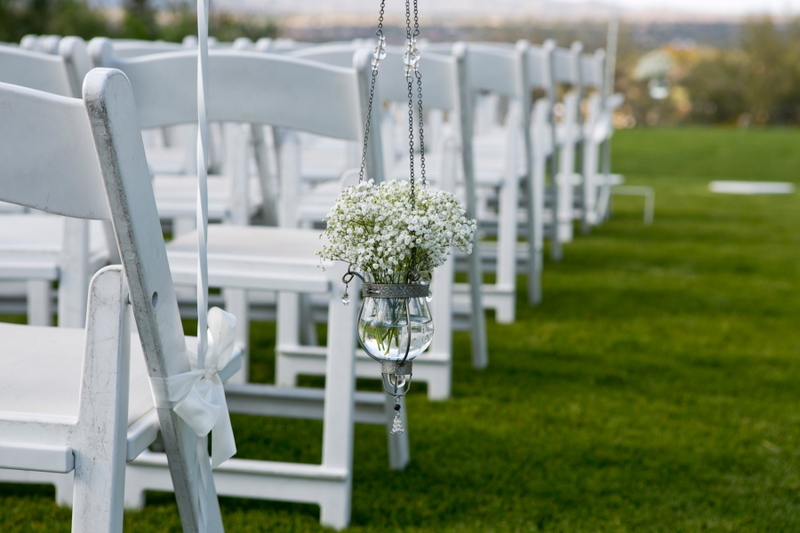 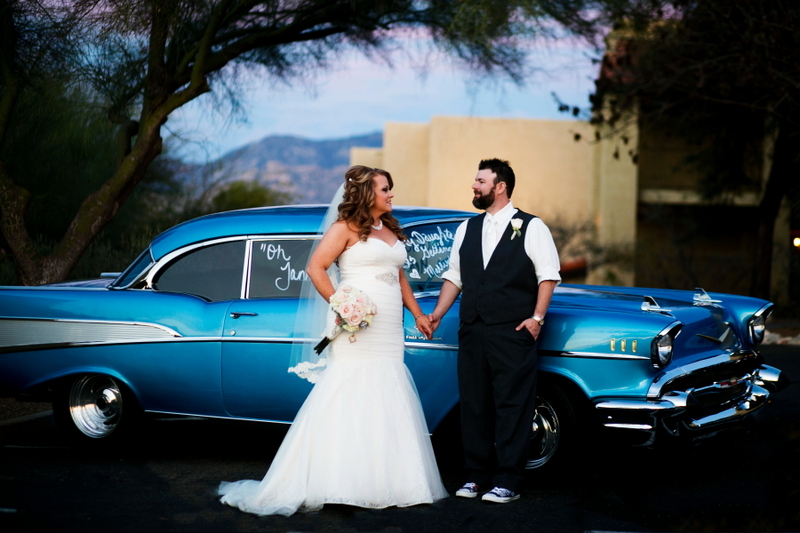 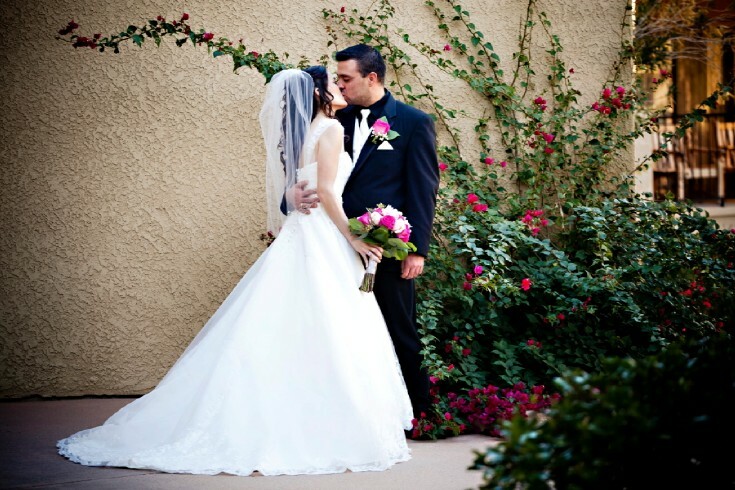 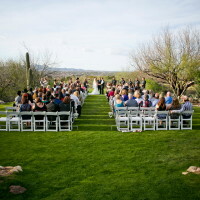 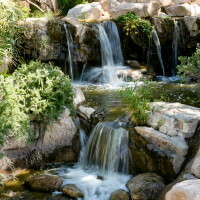 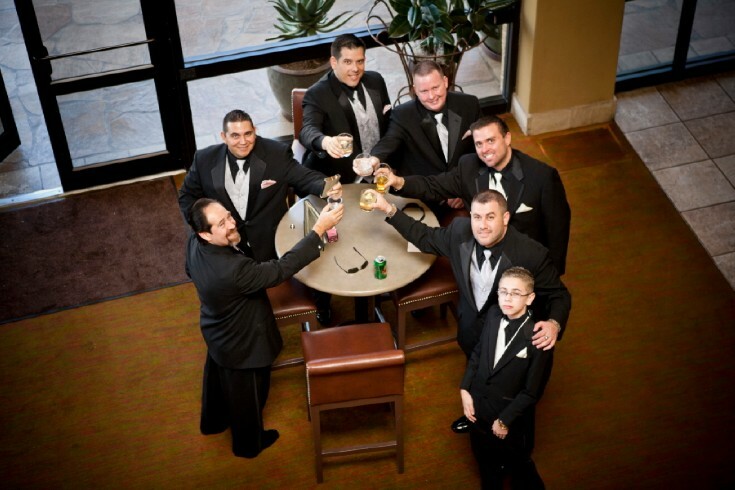 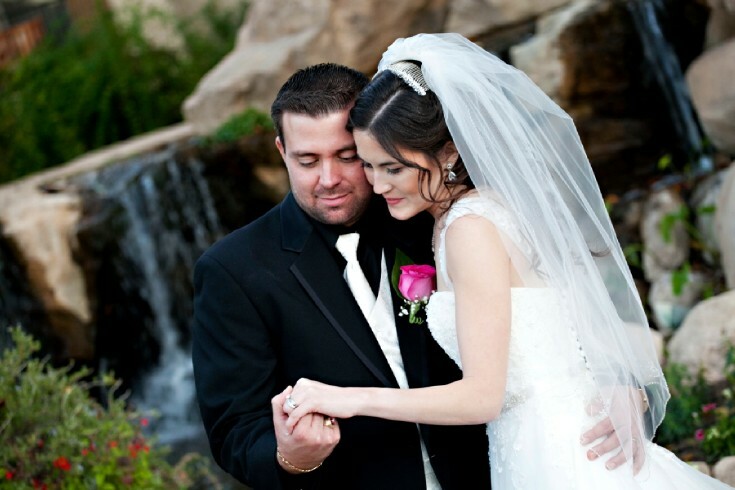 If a resort wedding is your style, you will fall in love with The Hilton El Conquistador wedding venue in Oro Valley, Arizona. 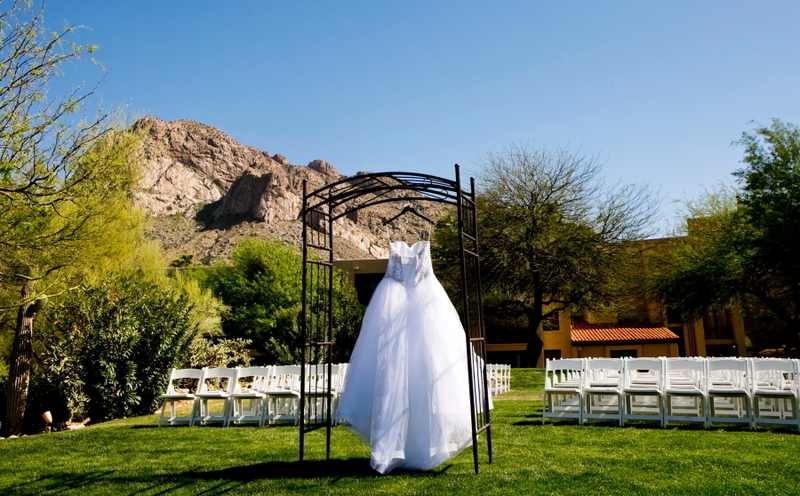 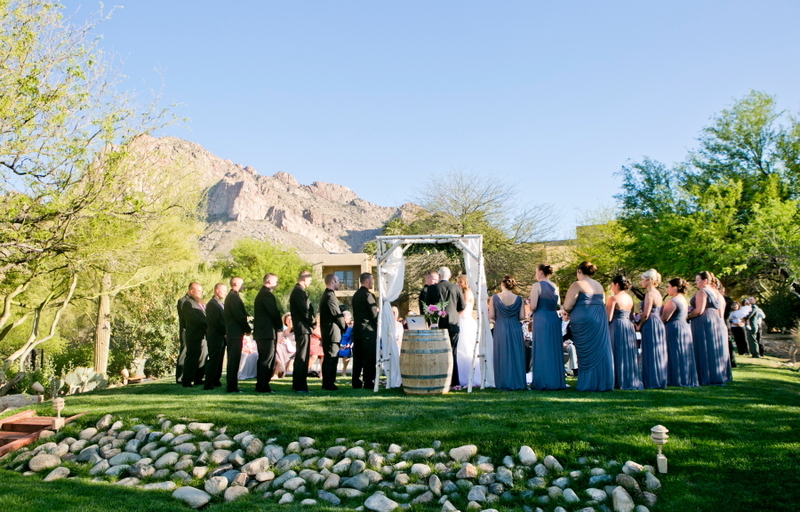 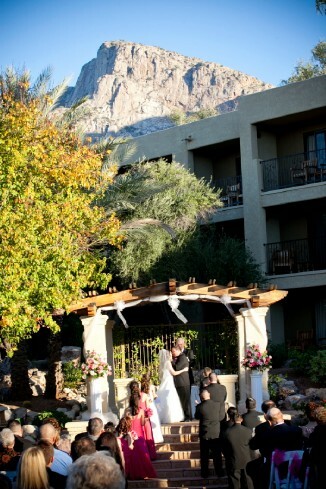 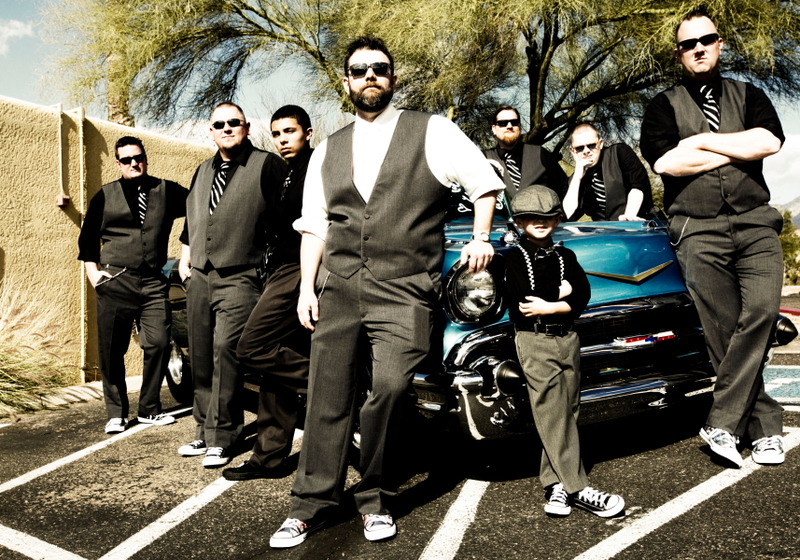 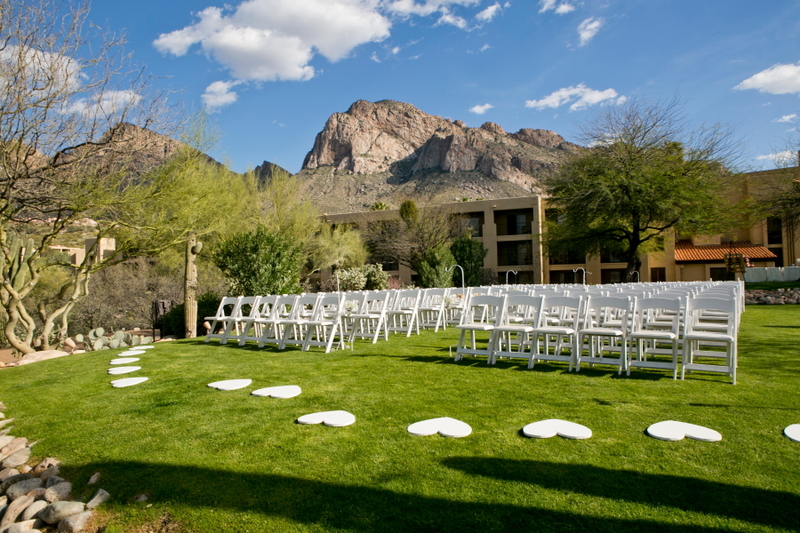 The resort is nestled up against the Santa Catalina Mountains in the shadows of Pusche Ridge for a stunning backdrop. 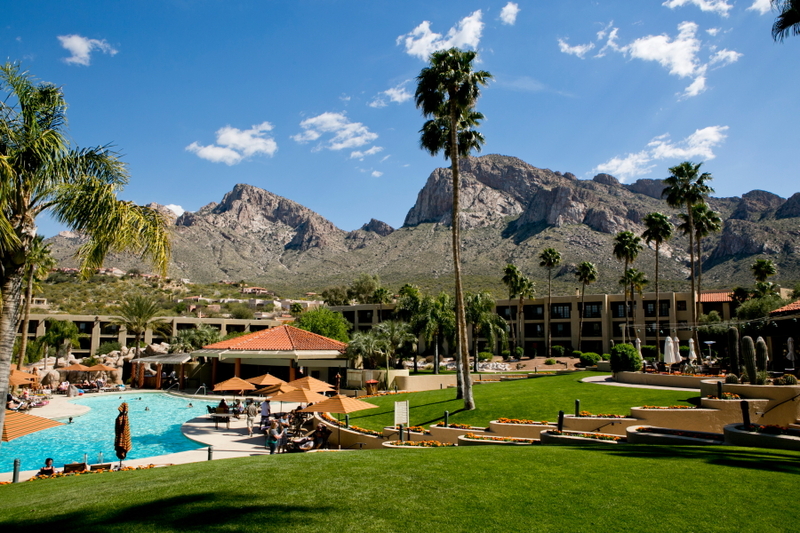 This gorgeous resort is surrounded by acres of lush Tucson desert and wildlife. 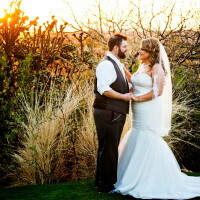 When the sun goes low the mountains often turn red or golden yellow. 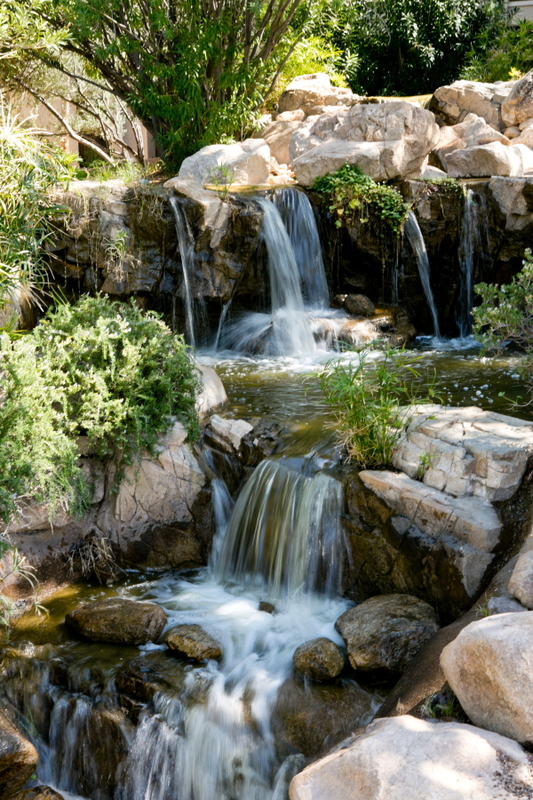 They have an area with a three tiered waterfall that makes you feel like you are in Hawaii. 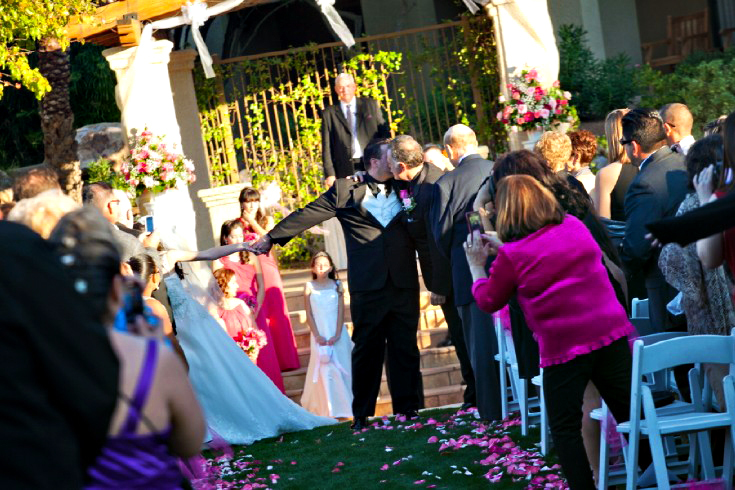 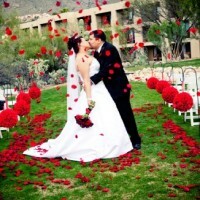 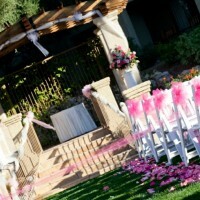 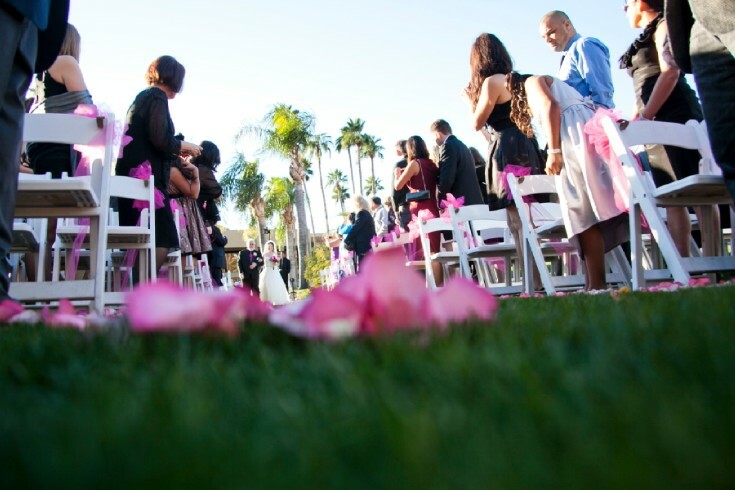 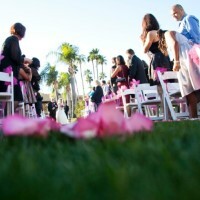 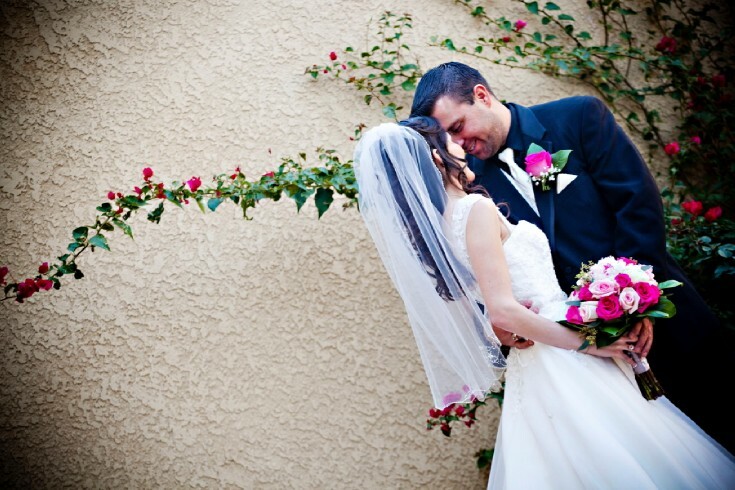 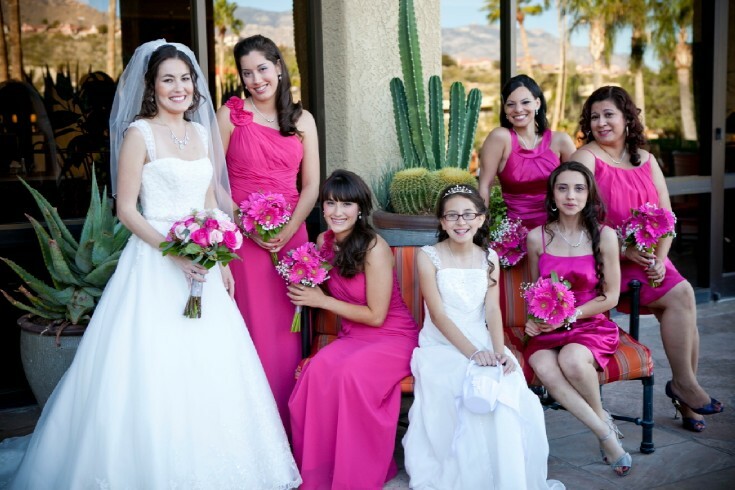 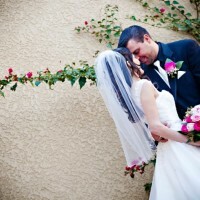 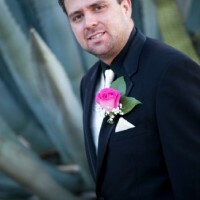 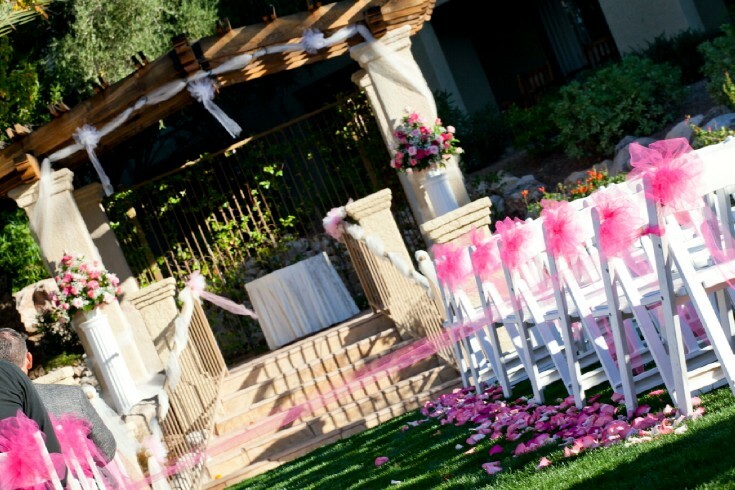 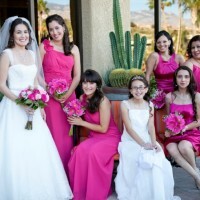 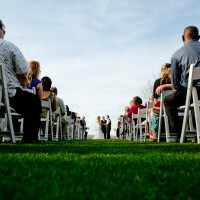 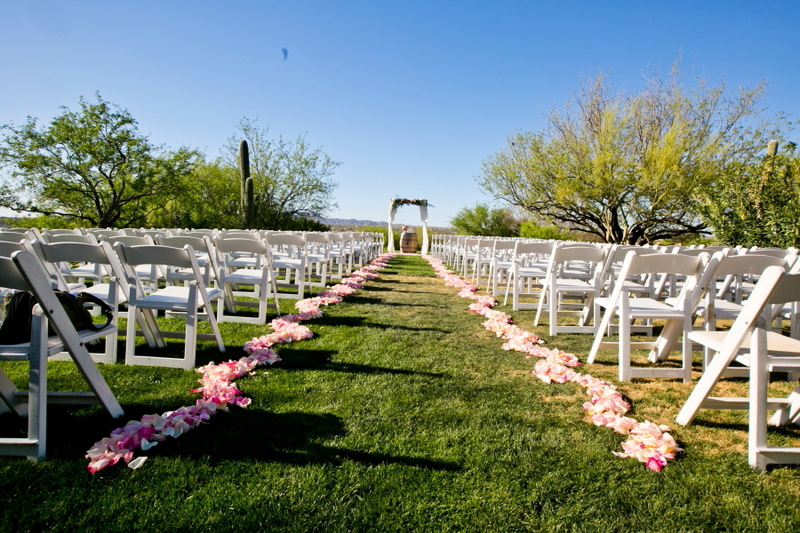 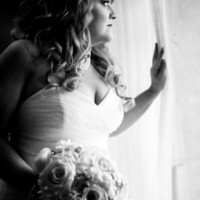 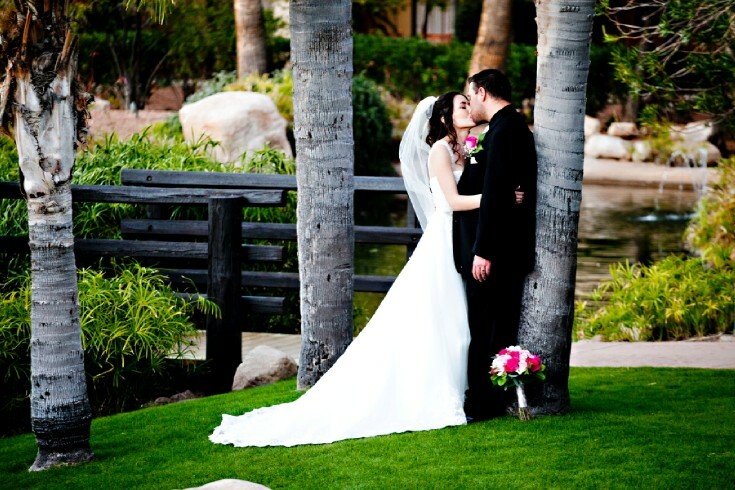 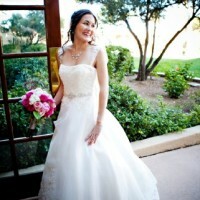 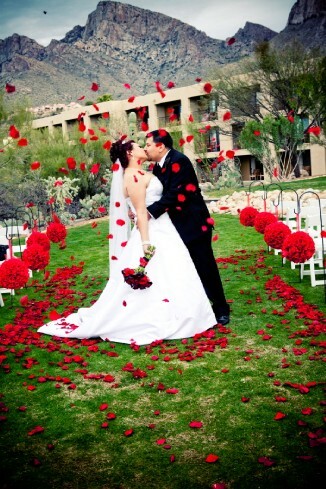 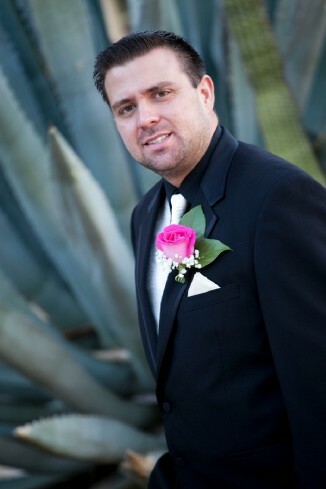 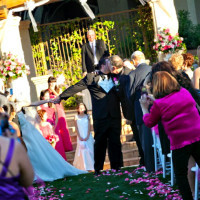 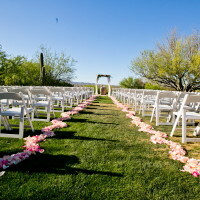 Hilton El Conquistador Wedding Venue maintains beautiful floral around this area year round. 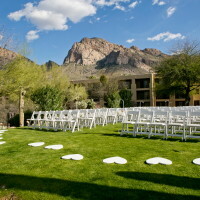 Stroll over to the golf coarse and you have greenery and an unobstructed view of beautiful Pusche Ridge Mountain scape. 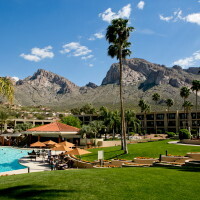 Once over there you will get a peak of desert landscapes against the mountain range. 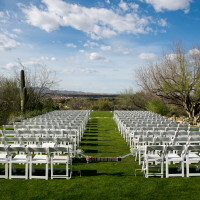 If the desert is in bloom you will be surrounded with yellow or purple blooms on many of the desert plants. 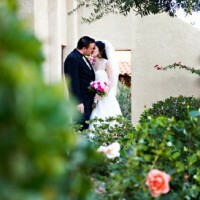 The grounds are littered with little desert oasis and lovely photo ops. 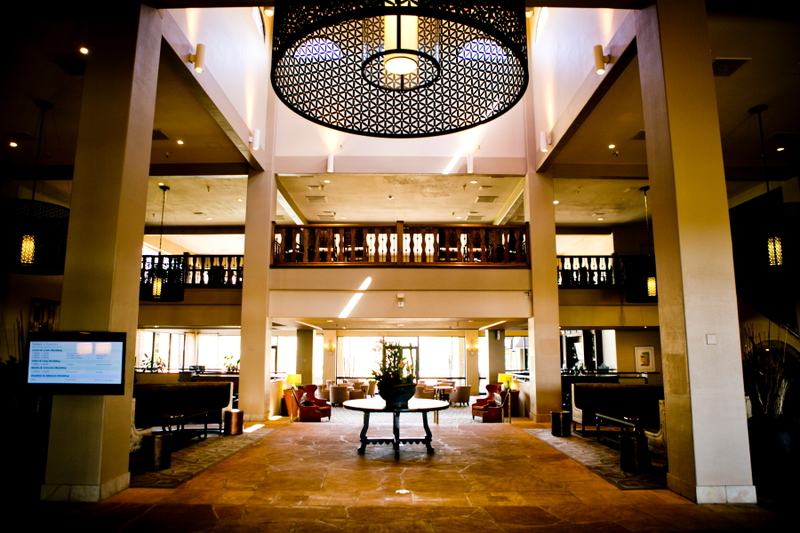 You will delighted to bump into some local bunnies or quails as you walk around. 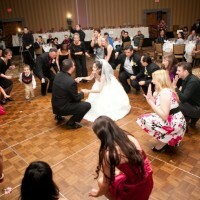 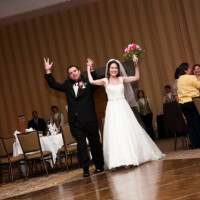 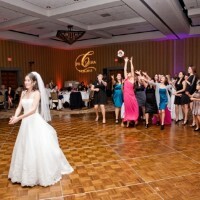 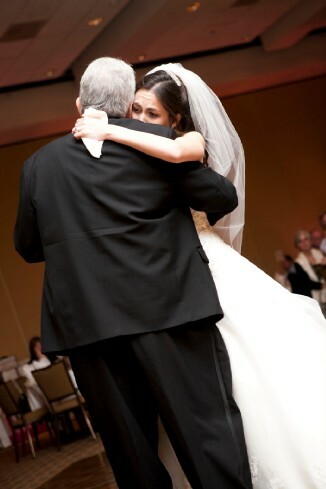 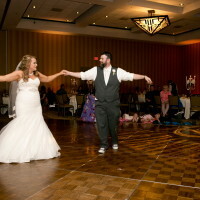 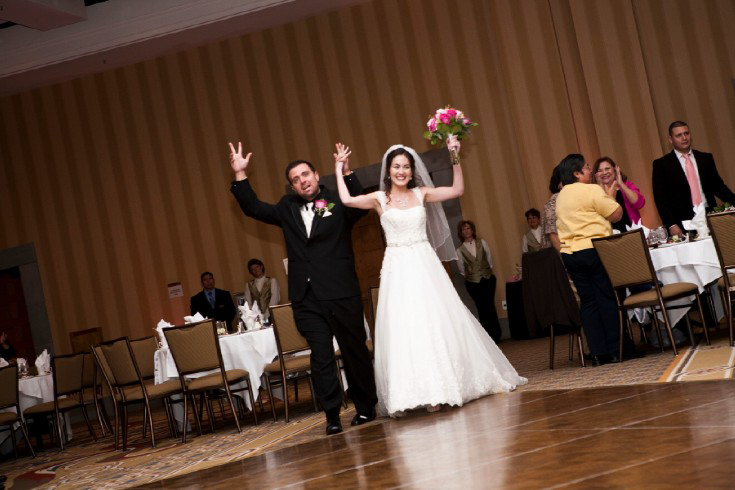 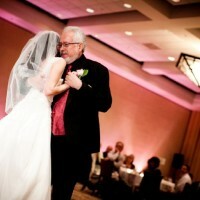 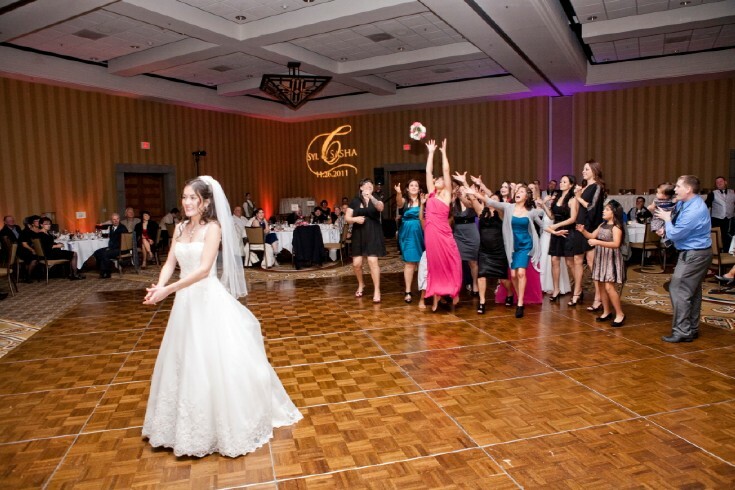 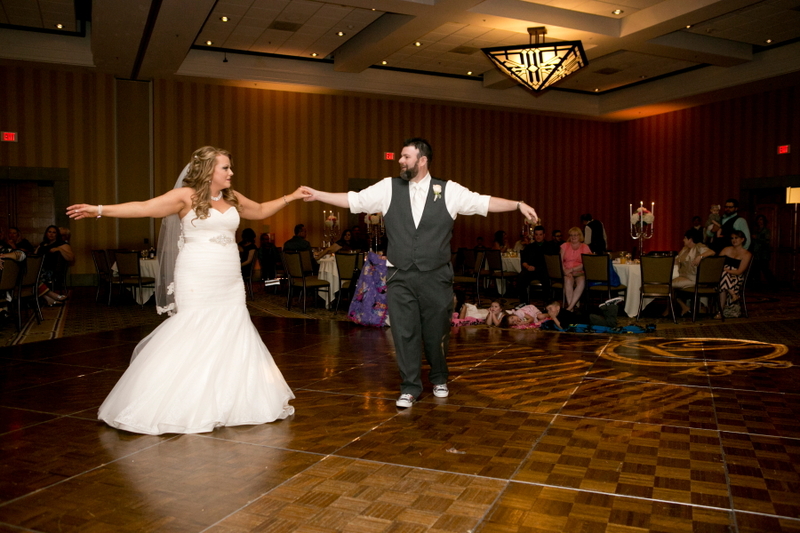 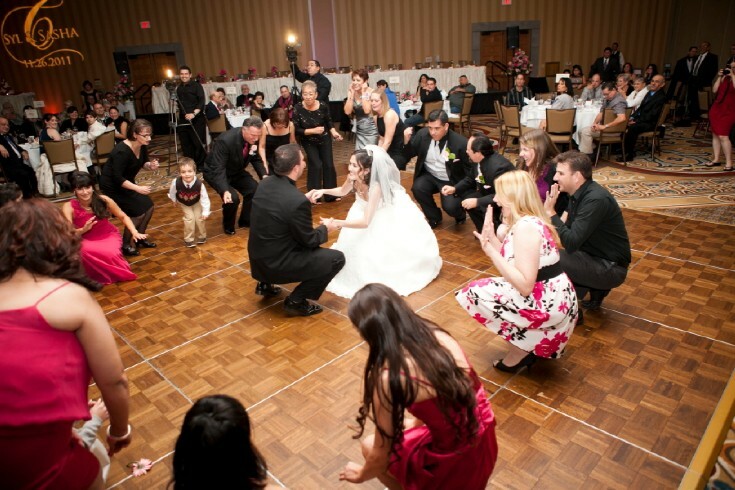 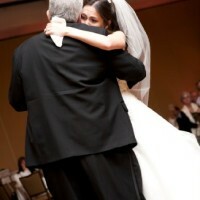 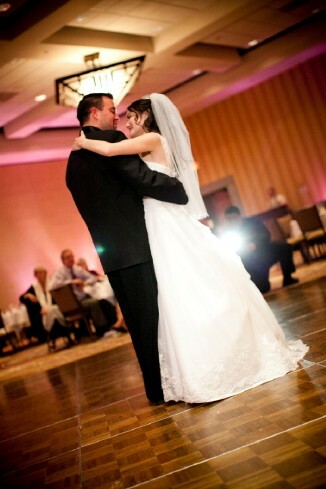 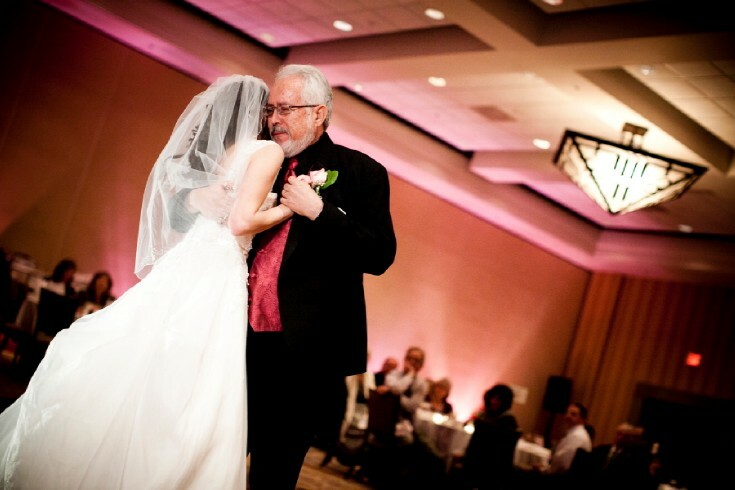 The reception halls are spacious with so much room to dance the night away. 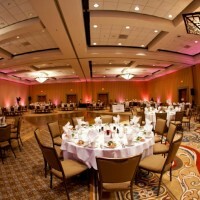 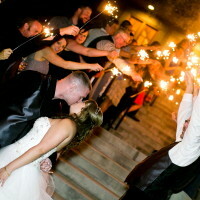 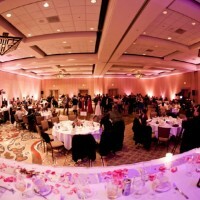 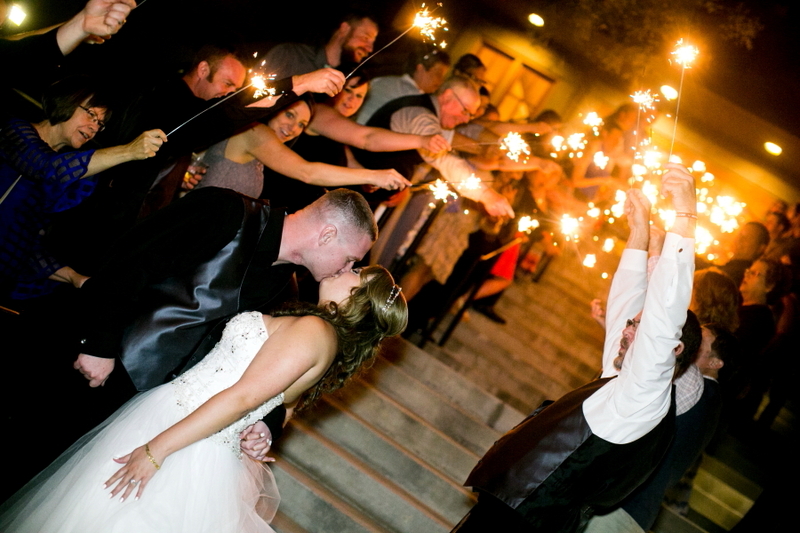 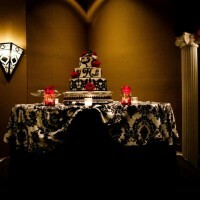 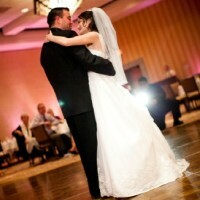 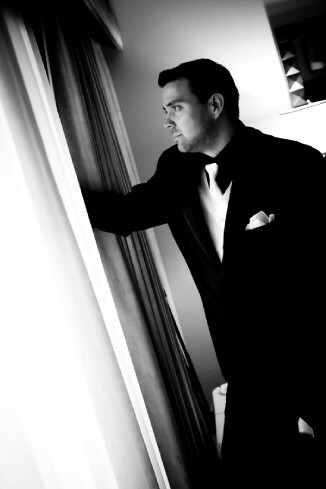 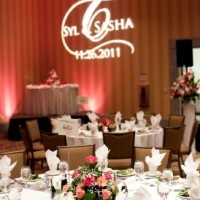 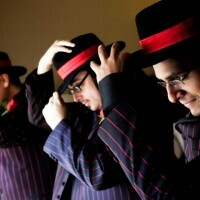 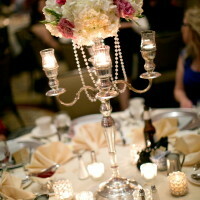 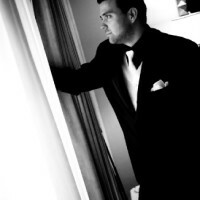 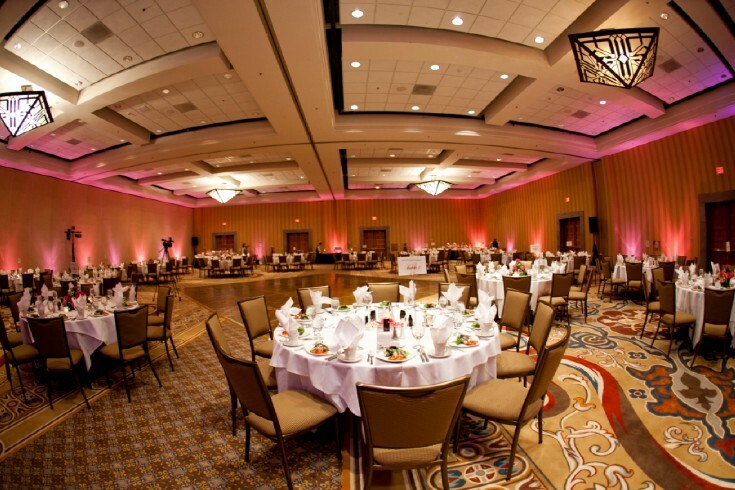 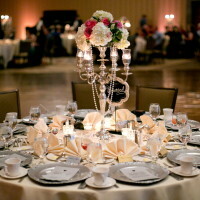 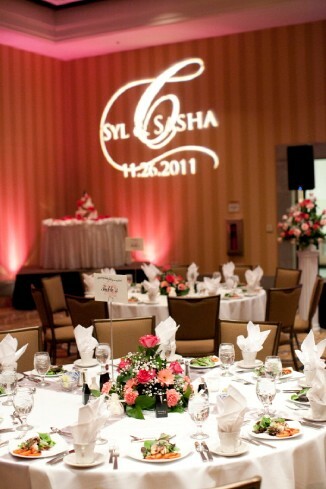 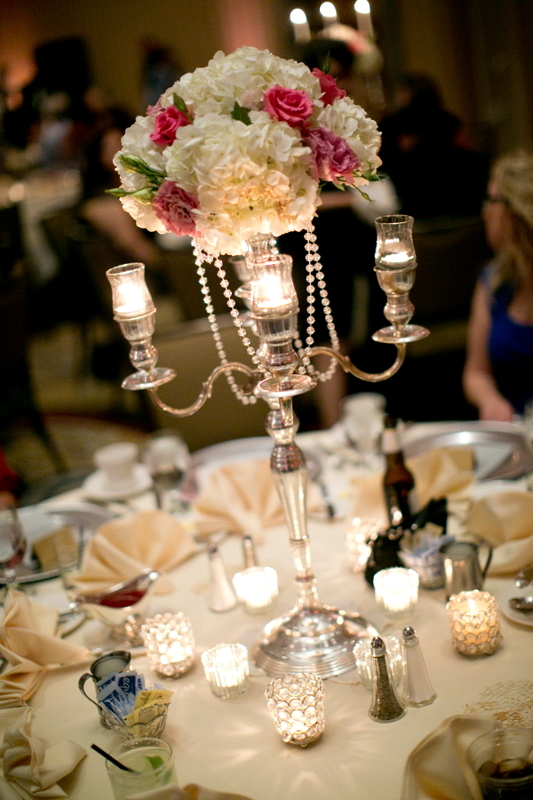 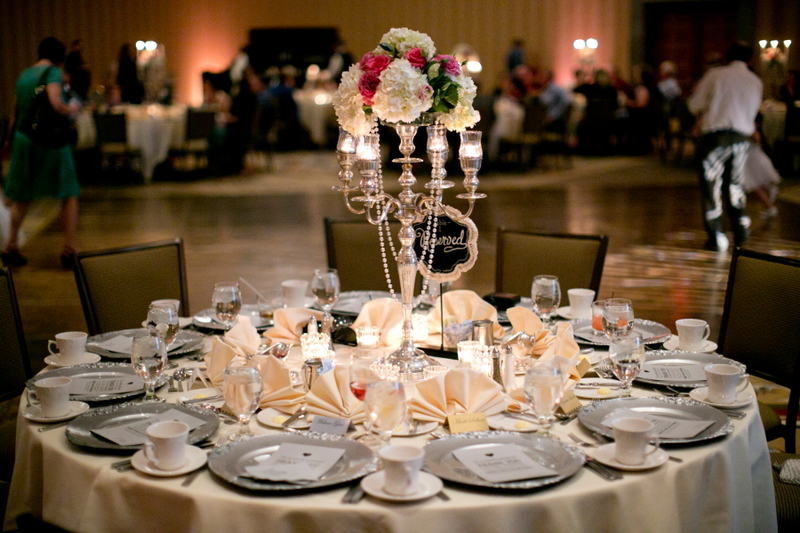 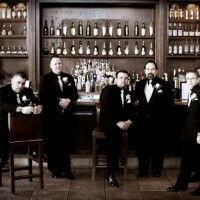 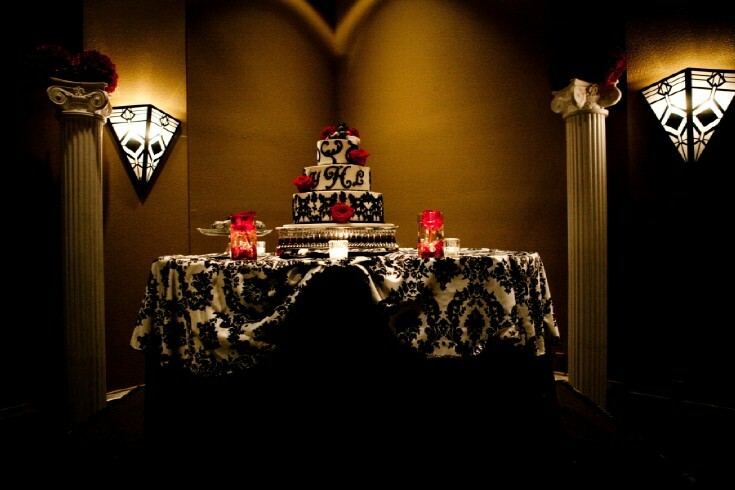 Have your DJ do some up lighting through out the reception all for added ambiance. 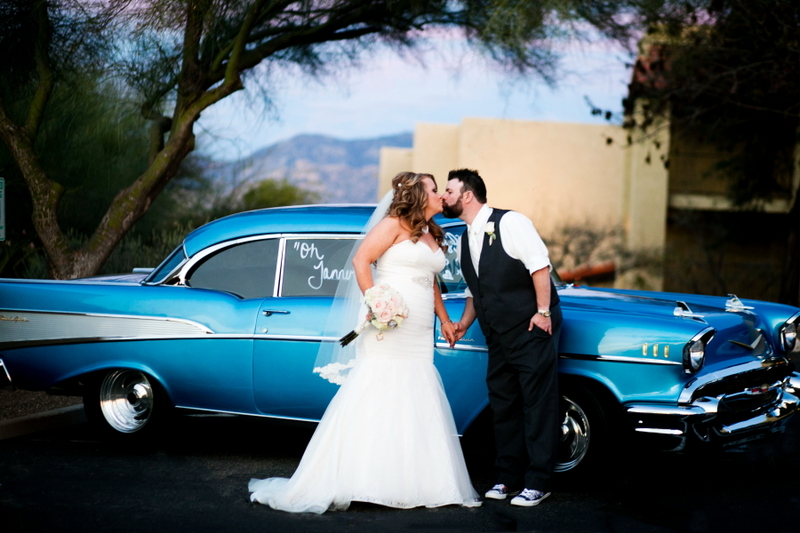 Something Blue loves to sneak away at the end of the night with our couples and take romantic and amazing photos with the pool and venue lights behind us. 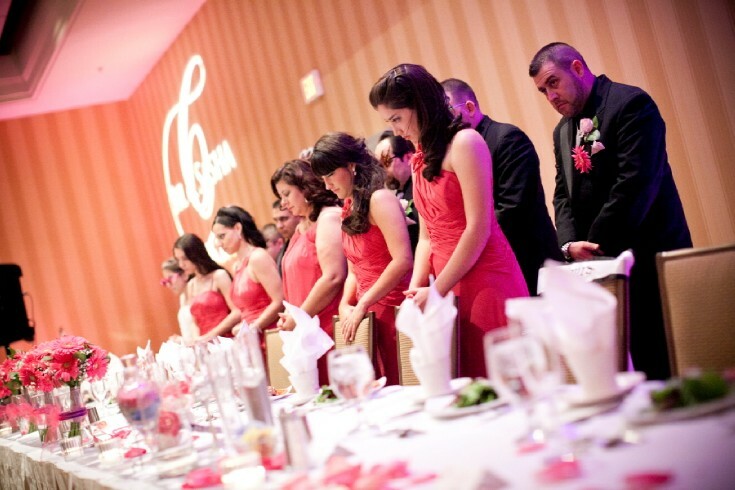 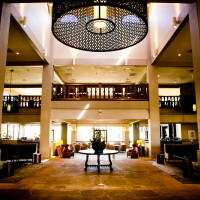 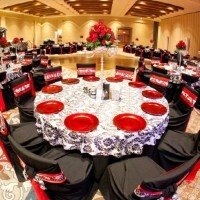 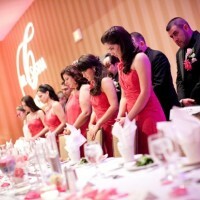 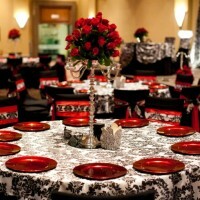 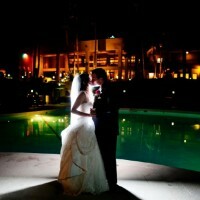 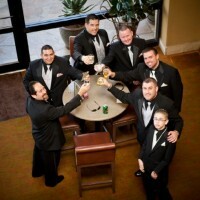 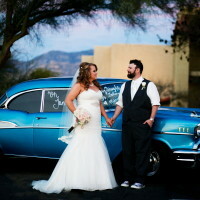 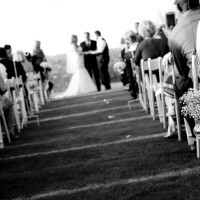 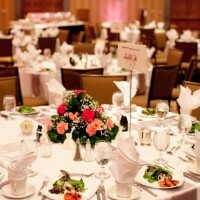 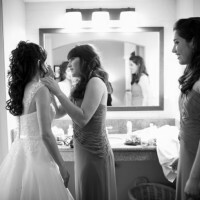 Hilton El Conquistador Wedding Venue is a great location or stay-cation for your guests and for yourself. 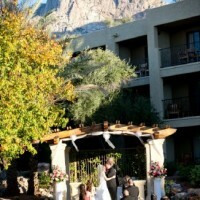 If you are a little on the wild side, try out their pool slide or swim up bar the day after your wedding. 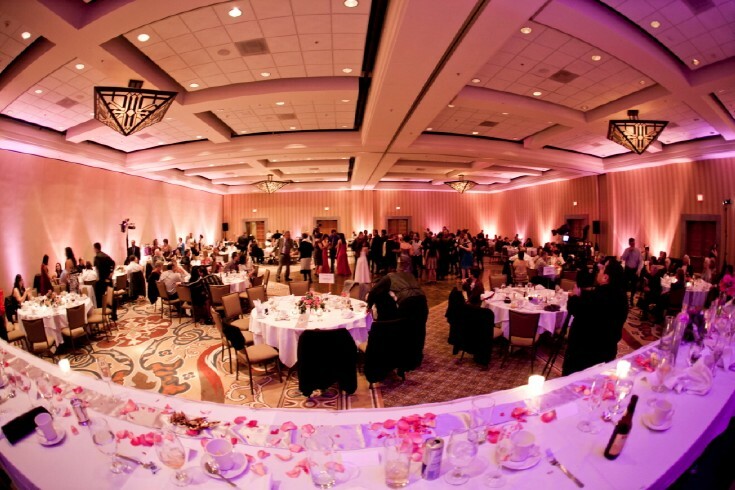 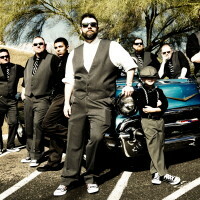 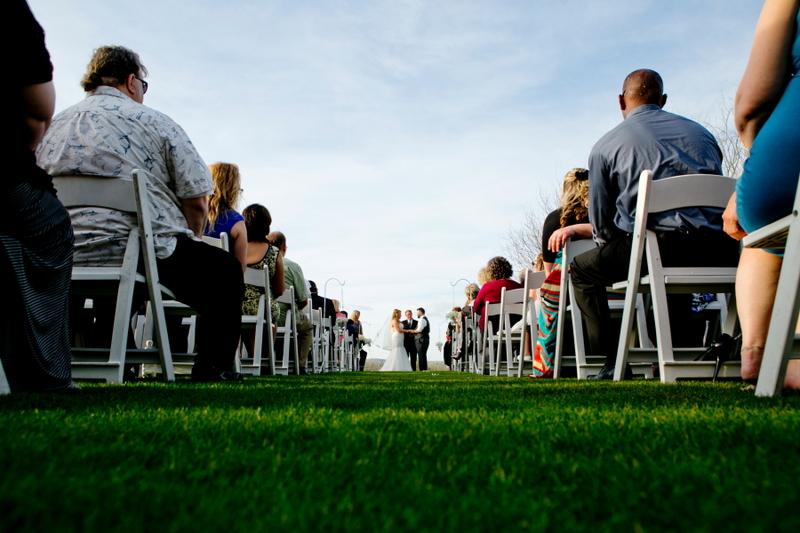 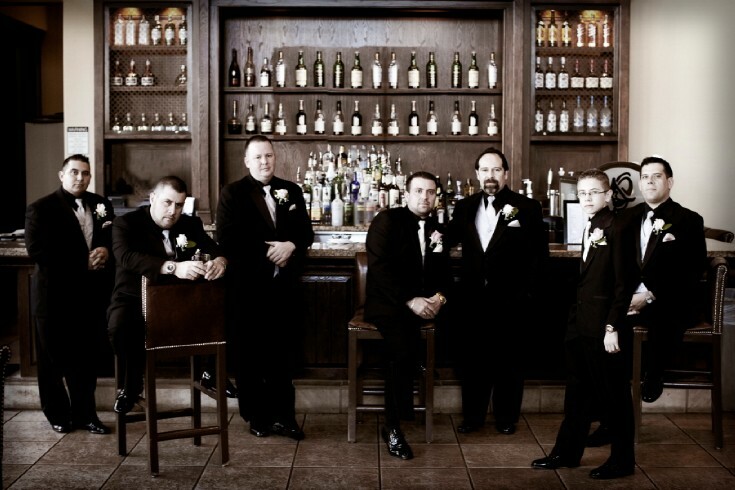 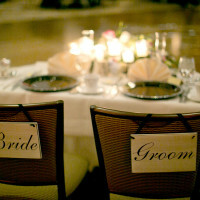 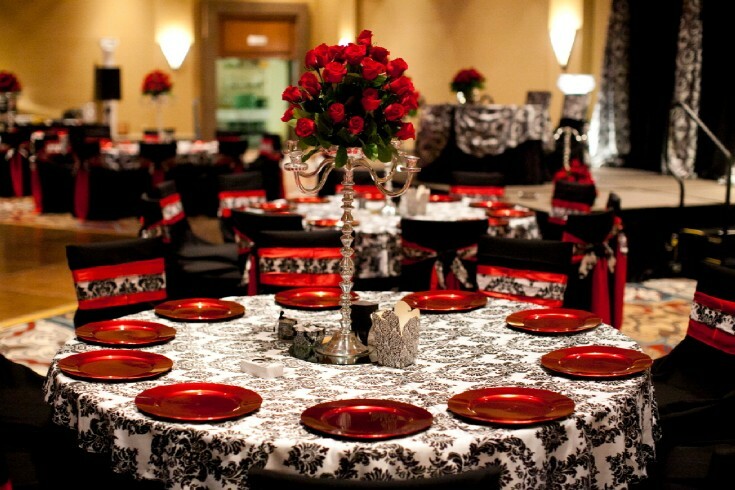 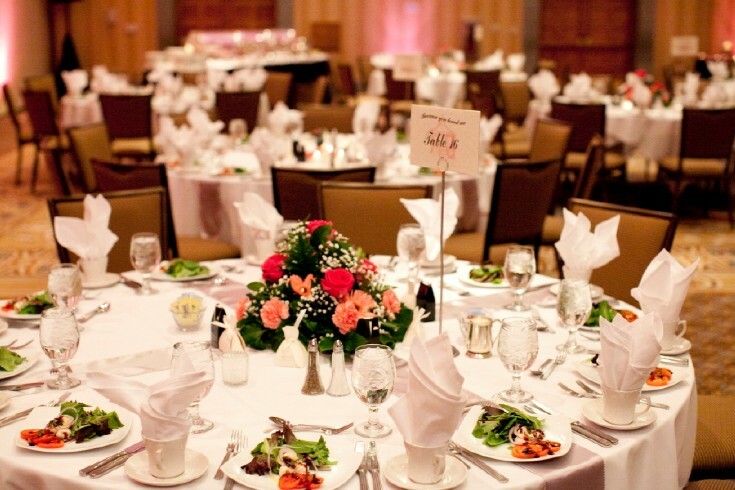 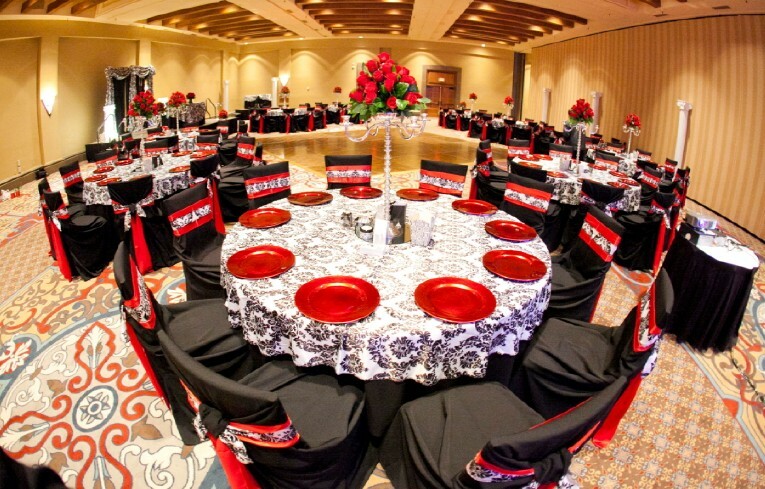 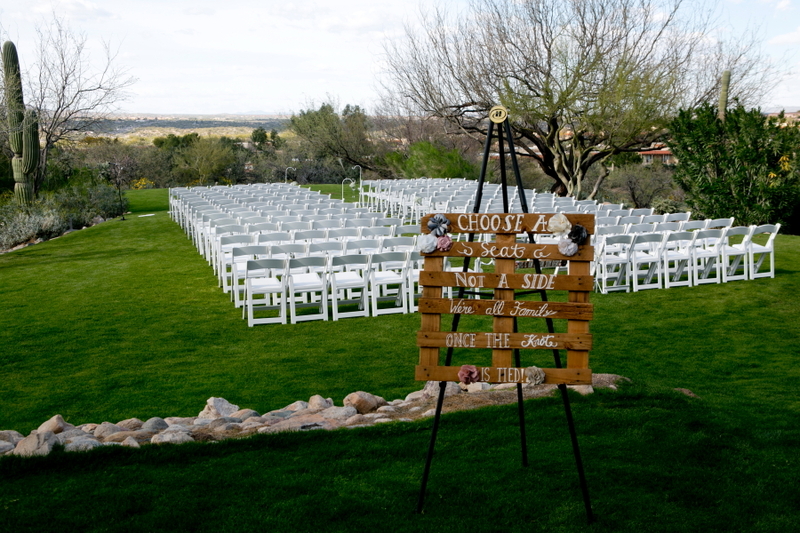 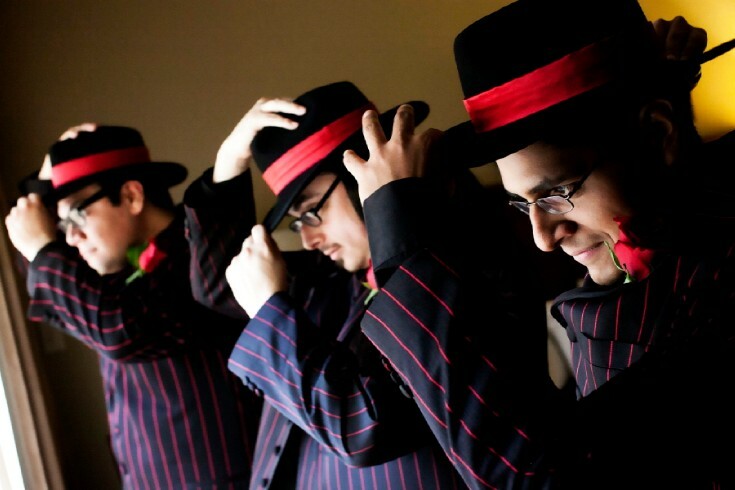 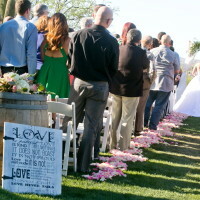 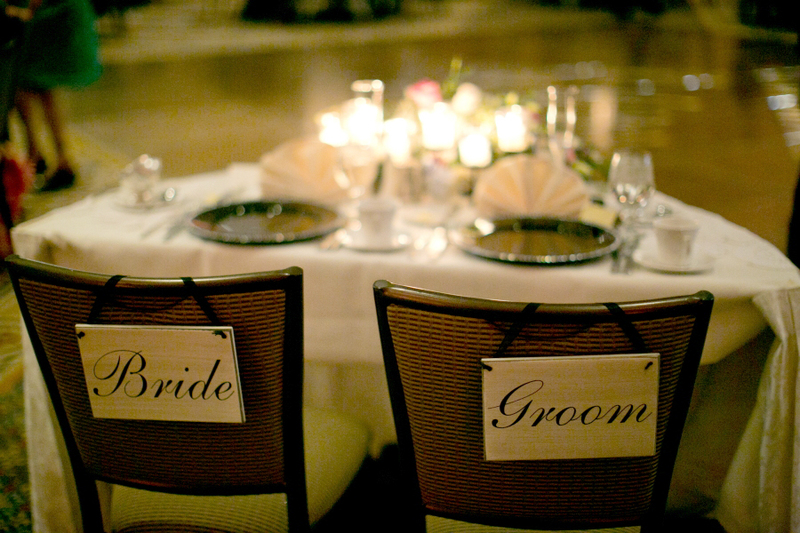 We love the diversity of this venue and all the options you are given. 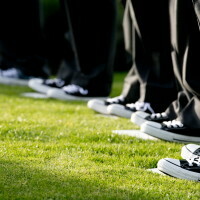 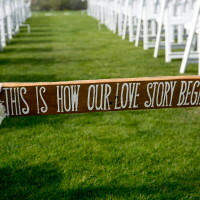 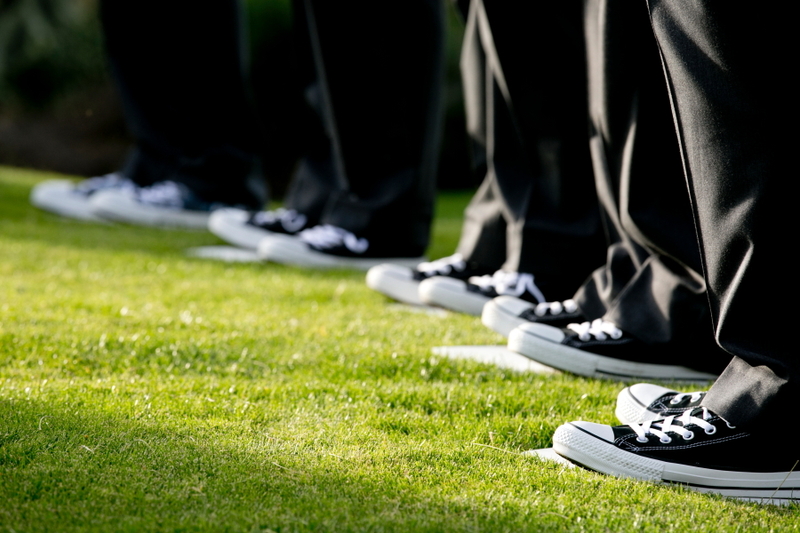 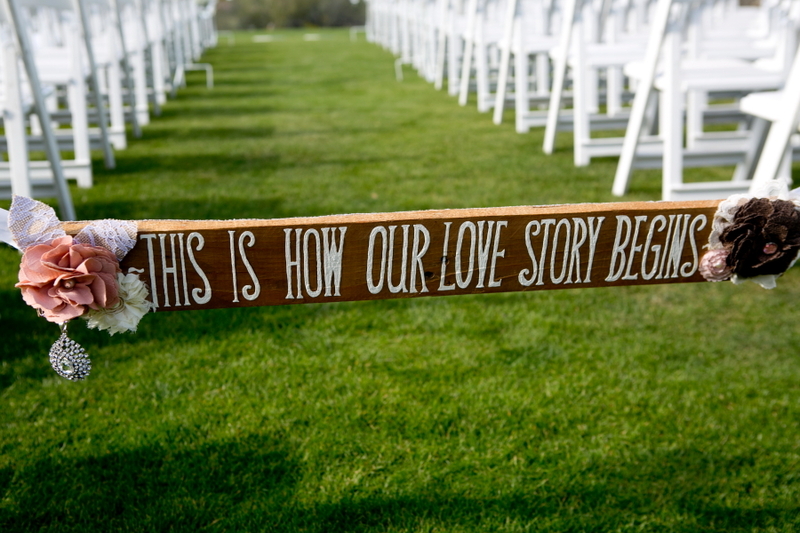 How do you want your wedding day remembered.